An all inclusive project to influence future development plans for Hesters Way ward led by the Hesters Way Neighbourhood Forum and supported by Hesters Way Partnership. See dedicated website has been uploaded so why not take a look! 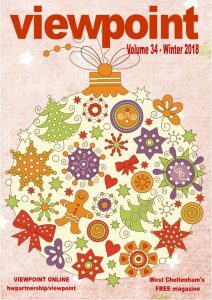 Hesters Way Partnership produce a termly community magazine called Viewpoint including news articles, services adverts and general information and stories about local people places and events. See more information. 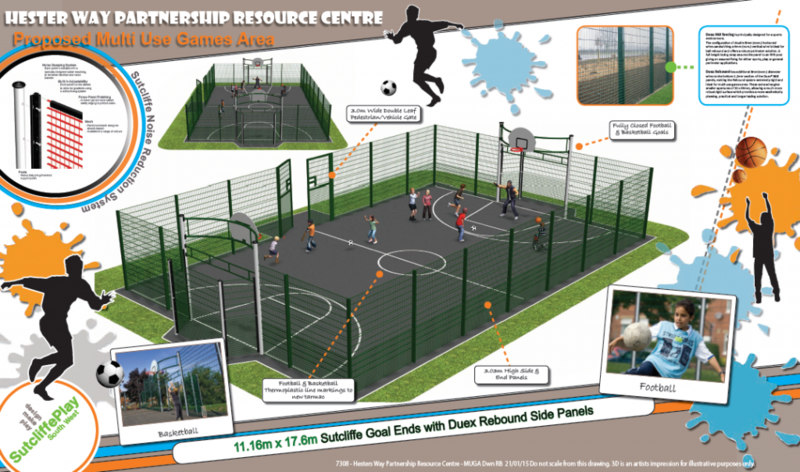 The Hesters Way Partnership has raised funds from Active Together, the Police Commissioners Fund and its own resources to install a MUGA on the land in front of the Oasis Centre. See here for details of the opening event. Sports sessions from at the new MUGA at Oasis will be taking place over the summer holidays in 2018. See the poster here! new play equipment including a MUGA. 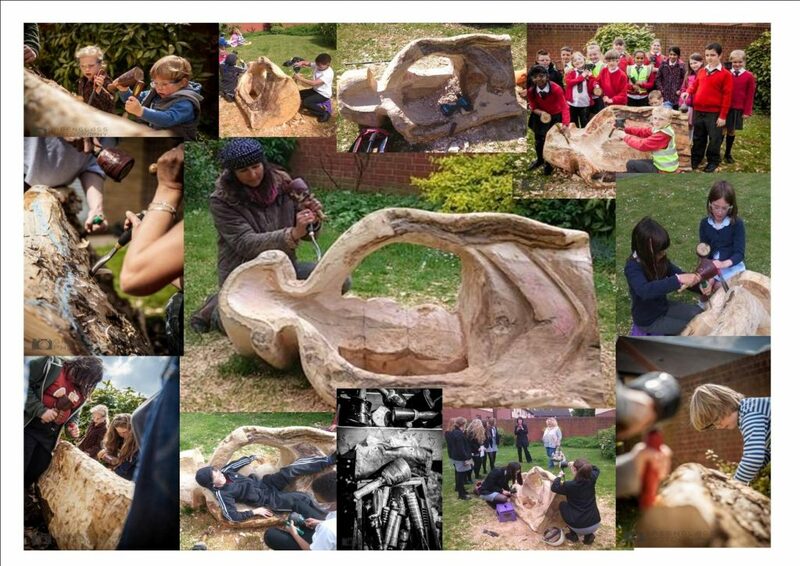 We are planning to continue the work and fulfil the aims described in the masterplan developed with key stakeholders in 2013; the next addition will be “The Dragon” art piece has planning permission and will be installed in spring 2019. 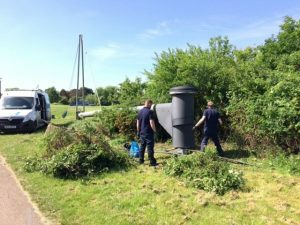 Springfield Park Hesters Way Partnership has worked with local community residents and Cheltenham Borough Council Parks Department to regenerate the Springfield for the benefit of local people. 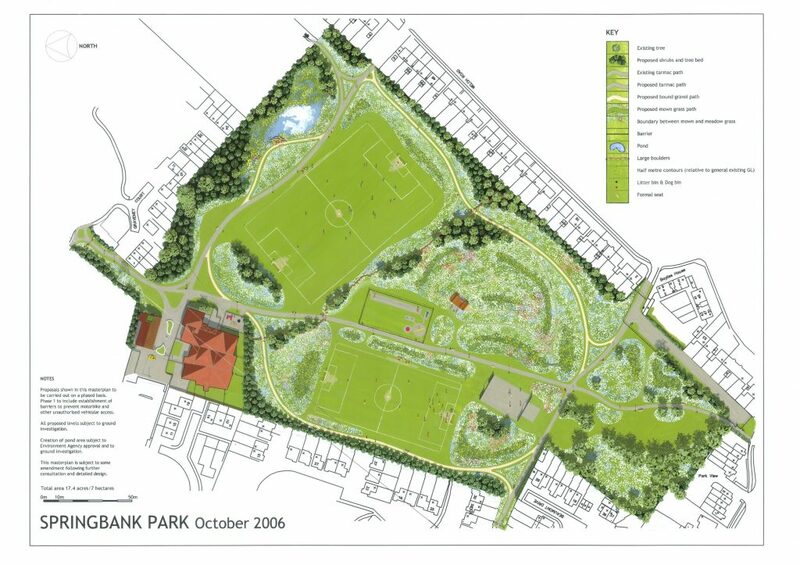 We have together via consultation run a variety of improvement projects including; Tree planting, landscaping includiung flood defences, swales, ponds, active play areas, new play equipment imroved draininge for sports pitches and improvements in the pavilion. There is also public art woks and a community garden within the curtilage of the Springbank Community Resource Centre. The park has been awarded both Planting Places and the prestigious Green Flag award for 6 years. Hesters Way Partnership with support form Cheltenham Borough Council raised funds from the Low Carbon Buildings Programme (Phase II) and from the Local Sustainable Energy Programme for a renewable energy scheme. The funds provided 24 PV panels installed on the roof of the Hesters Way Community Resource Centre and a 15m wind turbine in Springfield Park, supplying energy to the Springbank Community Resource Centre. The panels shown on the starter units above have supplied over 20,000 KWh of power to the community centre since installation in 2010. Hesters Way Story Chair Thanks to public art funds released from the section 106 agreement at a housing development off Rowanfield Road a scheme was developed with local sculptor Natasha Houseago and Digital artist David Grange to produce the Hesters Way Story Chair. The chair is on display in the Hesters Way library lobby. 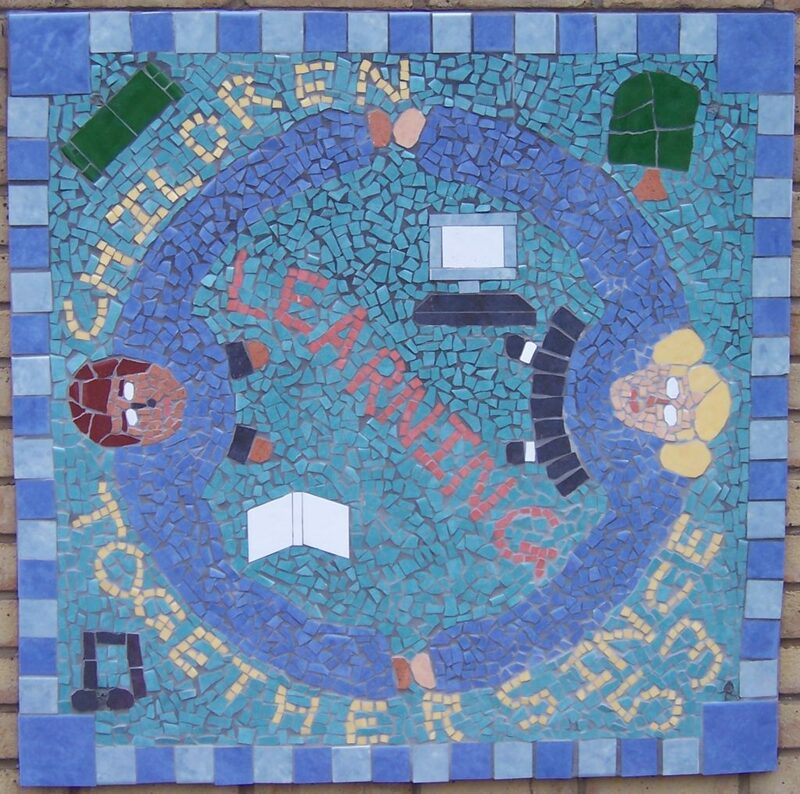 Mosaic Murals In 2006 the Hesters Way Partnership worked with Cheltenham in Bloom to develop 6 mosaic murals for the wall of the HWCRC comemorating the local area. 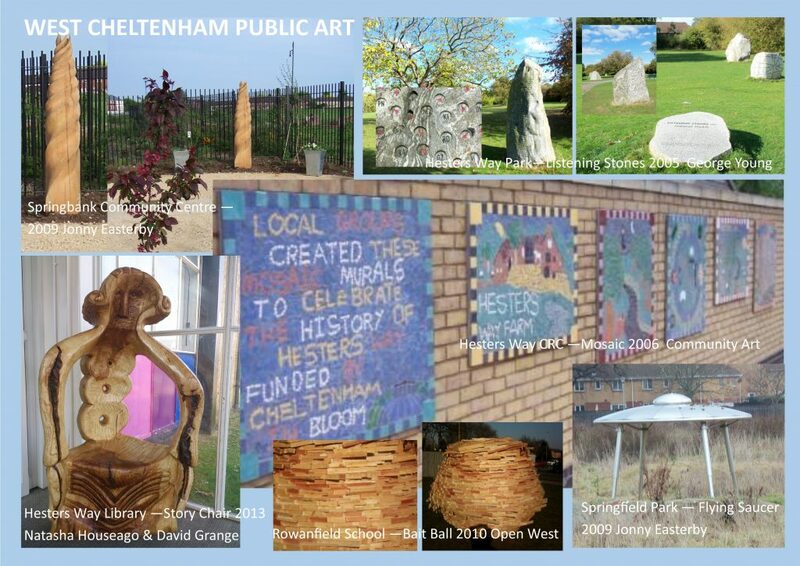 The murals were created by local groups from Cheltenham Borough Homes, GlosColl, the St Aidans Church and Monkscroft School. 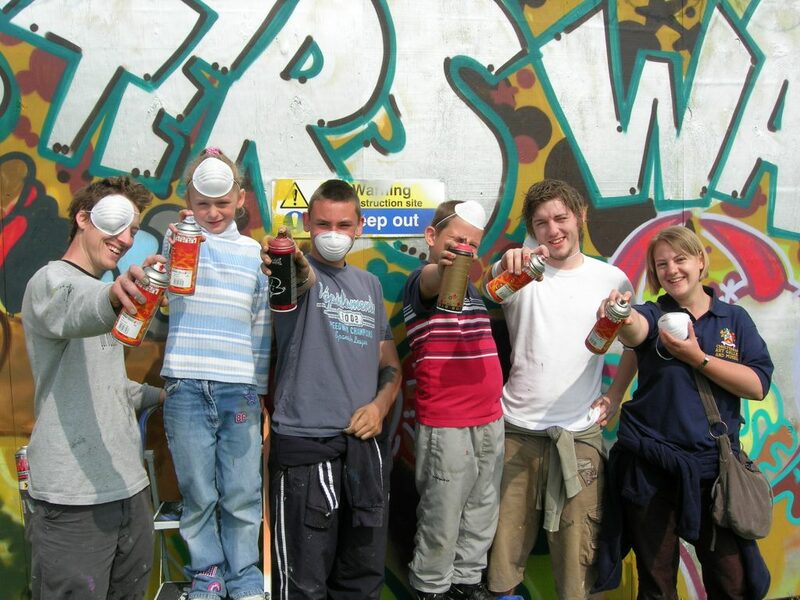 During the constrution of the Springbank Community Centre Hesyets Way Partnership worked with teh Art Gallery and Museum to deliver a community urban art project. The results of the project, produced to a large extent by young people form teh vicinity of the centre were stunning. Hesters Way Partnership has been running the West Cheltenham business / community breakfast since June 2013. 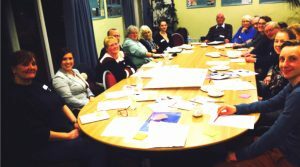 The group meets at the JTs Café in the Community Resource Centre on the last Wednesday of most months. Its a very friendly meeting with no joining fee and offers a chance for you to meet local business folk, exchange ideas and contacts. Any one form a local business, sole trader or charity is welcome to attend; breakfasts cost £5 but if you prefer just a coffee then that’s fine too! A variety of large community events are offered from the community resource centres in the area notably from Springbank. 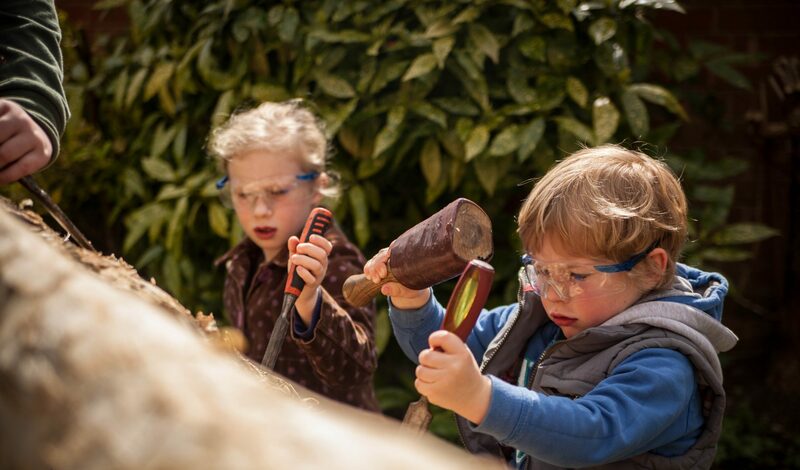 These include the Spring and Summer Fairs, Eco Fun Day and Winter Wonderland events. 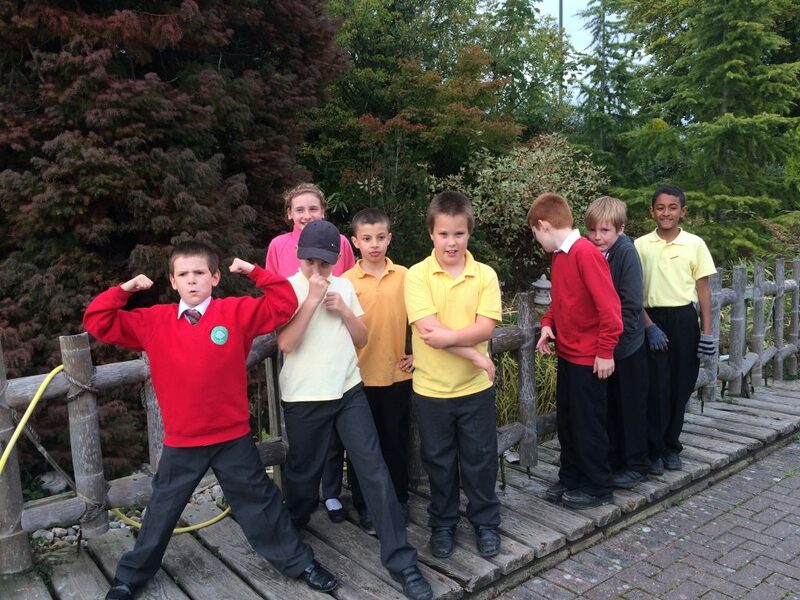 Thanks to funding from Awards for All and in partnership with local primary schools (Hesters Way and Rowanfield) the Hesters Way Partnership has been running the Dreamscheme Project since 2012. The pastoral scheme suports children with self esteem, confidence and life skills with a view to their successful integration into school activities and with transition through to secondary education. The project is run by Jacquie Boyer, Rachel Clifford and Andrew Stratton every Wednesday after school.